DEPCOM Power recently welcomed the addition of several solar power veterans to the team, in support of the company’s expansive growth. DEPCOM has named Tony Perrino as Vice President of Project Operations. 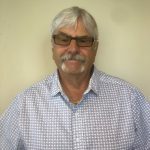 Tony brings 25 years of experience in the energy industry, serving in various Project and Engineering roles with First Solar, Sempra Energy, and Burns and McDonnell in the solar and gas power industry. He holds an Electrical Engineering degree from Iowa State University and is a former U.S. Navy Officer. DEPCOM has also named Richard D’Amato as Senior Director Construction. Richard is responsible for overseeing DEPCOM’s team of 1,300 construction craft across the USA. He brings 40 years of experience in the solar, coal and gas power industry. Most recently, he served as the Manager of Construction for First Solar. Chris Kellar joined DEPCOM’s team, serving as Vice President of Business Development, working to expand DEPCOM’s 1GW portfolio of EPC / O&M utility scale solar projects nationwide. Chris brings 30 years of energy industry experience, having been involved in $8 billion of capital projects and 4GW in energy projects. 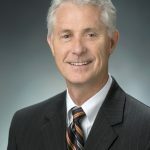 Prior to DEPCOM, he served as Managing Director Origination for Eagle Solar Group, and previously as Director of Acquisitions & Renewables for Southern Power Company. He holds a Business Administration degree from the University of Georgia. DEPCOM also promoted three members of its Management team, in acknowledgement of their achievements in helping advance the company since its founding in 2013. Johnnie Taul, former DEPCOM Chief Operating Officer, has been promoted to President. Steve Chun, Rob Rynar, and John Schroeder, former Senior Vice Presidents across various divisions, have been promoted to Executive Vice President positions. 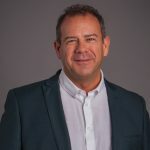 “These additions and promotions within our team reflect the continued growth of DEPCOM, made possible by the strong partnerships and trust our valued customers have placed in our company. We look forward to supporting each of our new team members in their roles as we work in alignment to provide the best-in-class EPC/O&M utility solar service in the industry.” – Jim Lamon, CEO, DEPCOM Power.